It supervises banks, insurance companies, exchanges, securities dealers, collective investment schemes, and their asset managers and fund management companies. It also regulates distributors and insurance intermediaries. Banks and securities dealers in Switzerland must be licensed by FINMA. Financial institutions that are insufficiently organised, fail to disclose their ownership structure or have a dubious reputation will not be authorised by FINMA. Institutional independence. FINMA was established as a public law institution in its own right. Functional independence. FINMA is functionally independent of Switzerland’s political authorities, neither Swiss Parliament nor the government can issue directives on how it carries out its regulatory duties. Financial independence FINMA is financed not by the taxpayer, but by the levies and fees it charges for its supervisory work. FINMA’s accounts are audited by the Swiss Federal Audit Office. Protect all clients of financial institutions against institutional insolvency, disreputable business practices and to ensure equitable stock exchange execution. Claims filed by individual clients cannot be decided by FINMA. They must be settled through civil-law proceedings, or by an ombudsman in an arbitration procedure. Enhance the competitiveness and reputation of the Swiss financial marketplace. 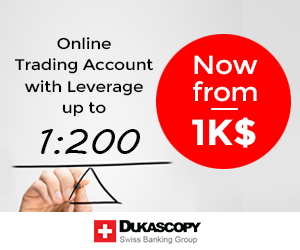 Company: Dukascopy Trading Technologies Corp. Note: Dukascopy Bank SA (In Switzerland) is regulated by the Swiss Financial Market Supervisory Authority FINMA both as a bank and a securities dealer. Dukascopy Europe(in Latvia) is not regulated as a bank or a securities dealer and is not regulated by FINMA.